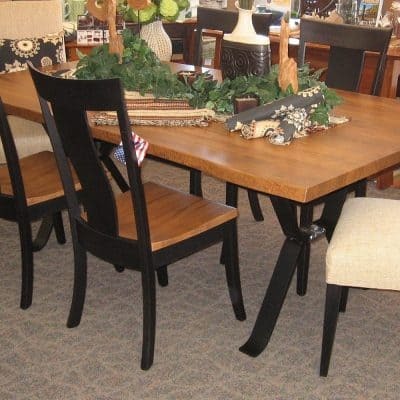 Home / Dining Room/Kitchen / Table and Chair Sets / 45″ X 84″ Live Edge Dining Set, Shown in Wormy Maple with a Natural Finish and Brown Maple and ebony. 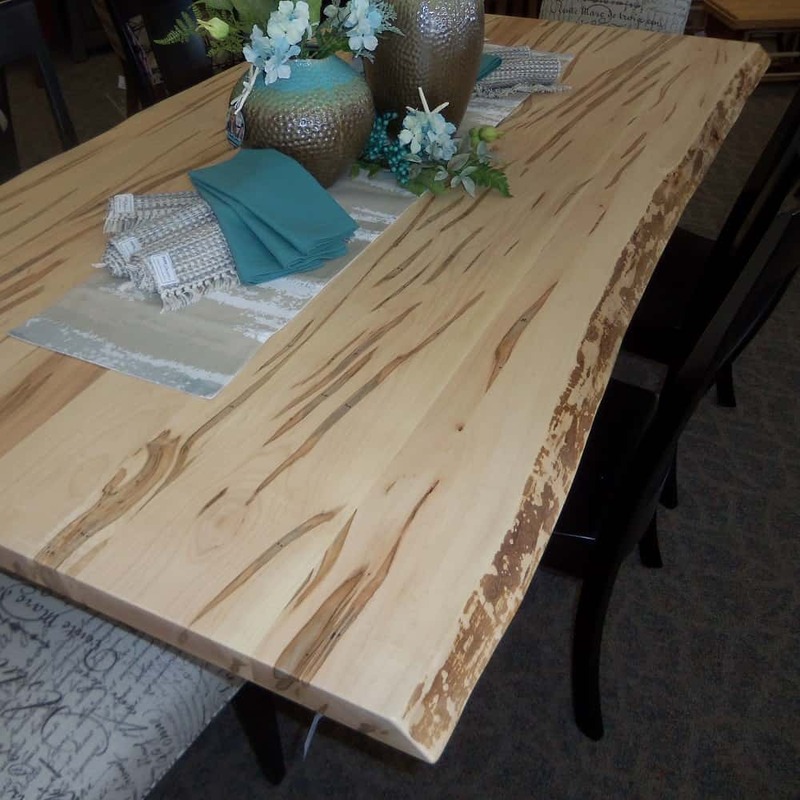 45″ X 84″ Live Edge Dining Set, Shown in Wormy Maple with a Natural Finish and Brown Maple and ebony. 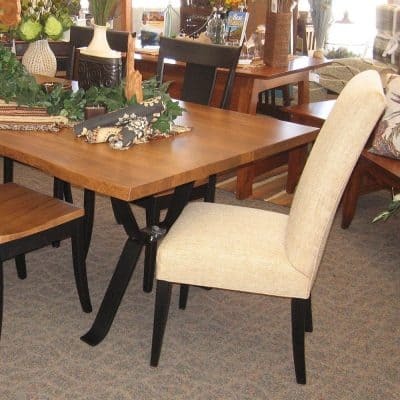 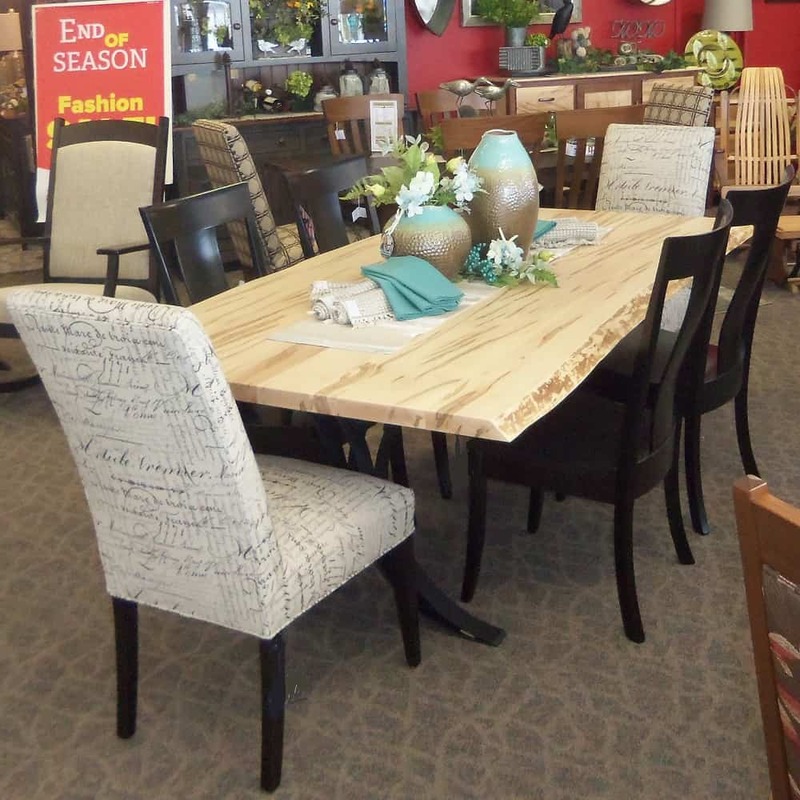 45″ X 84″ Live Edge Table Dining Set, Includes Table, 4 Jamestown Side Chairs and 2 Parsons Fabric Covered Side Chairs, shown in Wormy Maple with a Seely Low Sheen Finish and Double Curved Metal Base. 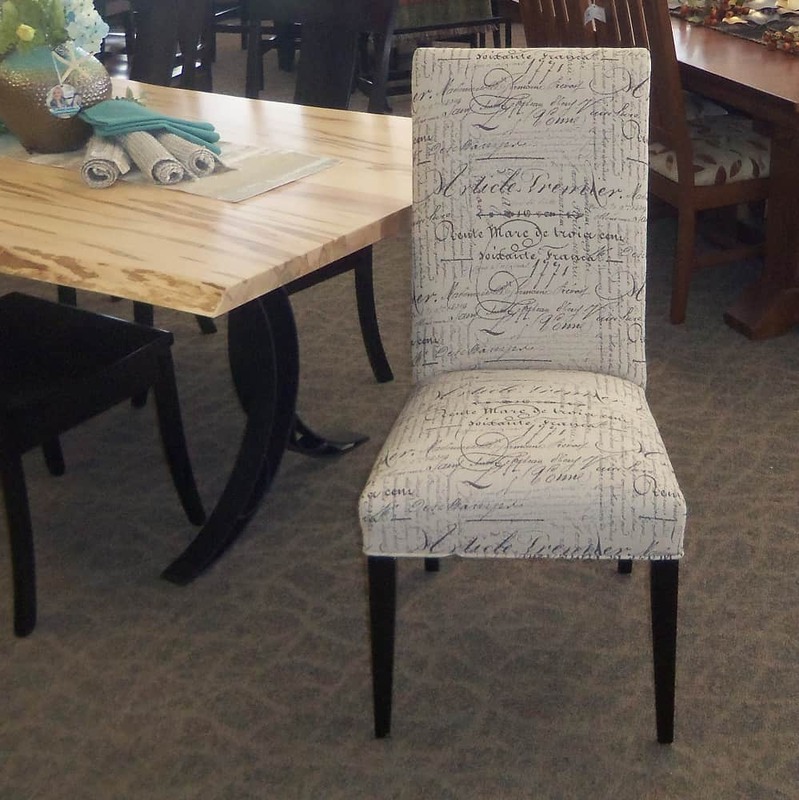 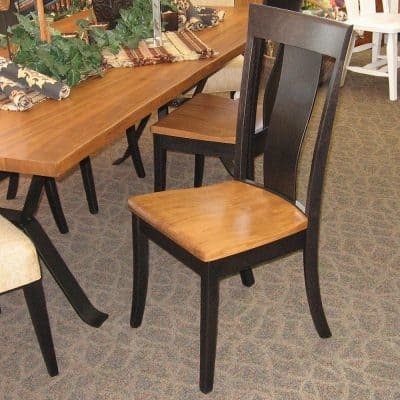 Jamestown Chairs are Brown Maple with a Ebony Finish, the Parsons Chairs are covered in #-C2250 Script Fabric. 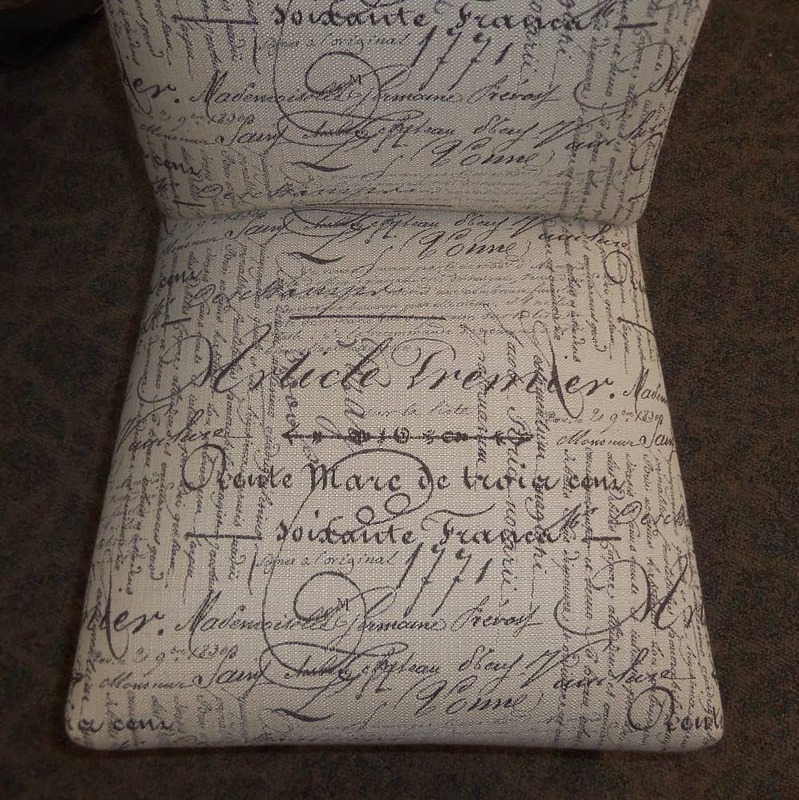 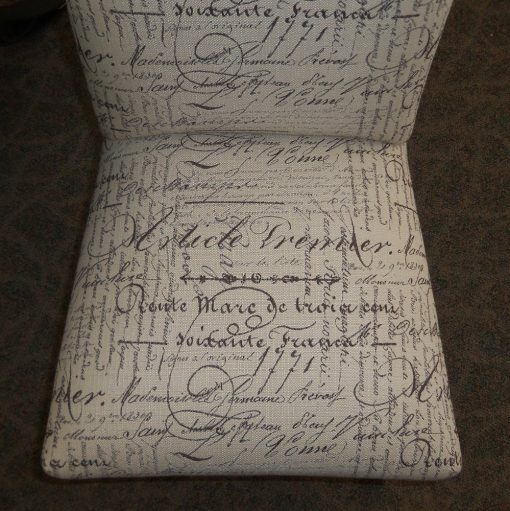 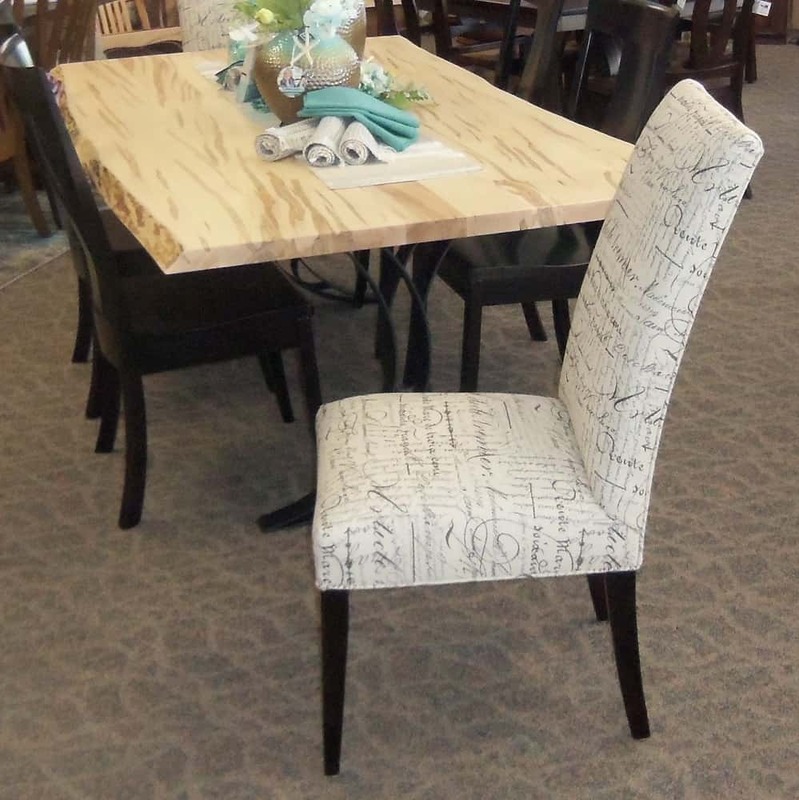 Other wood, stain and fabric choices available special order. 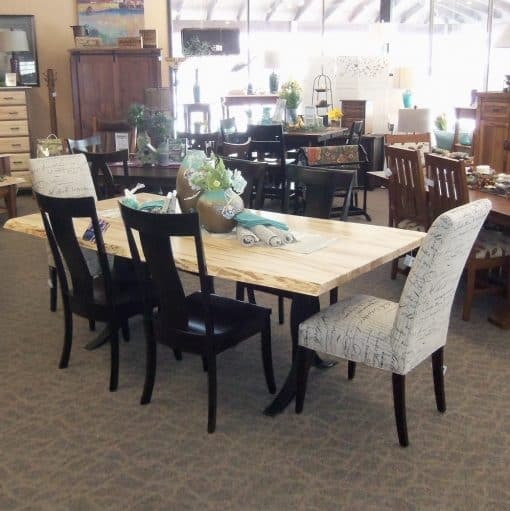 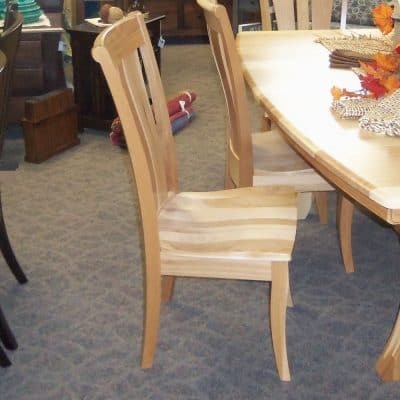 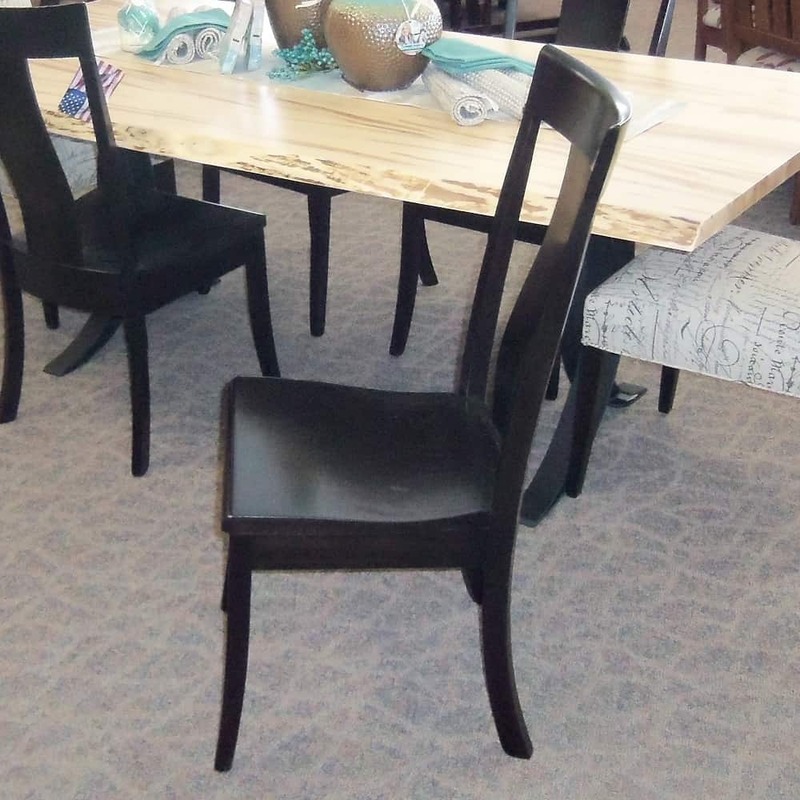 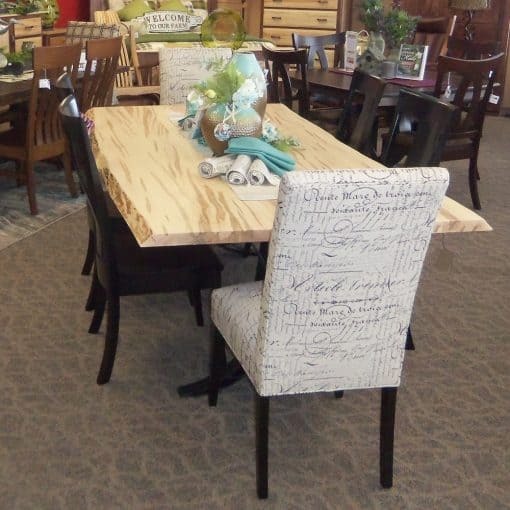 Live Edge Table is 45″ X 84″, Jamestown Side Chairs 19 “W x 17″ D x 40H. 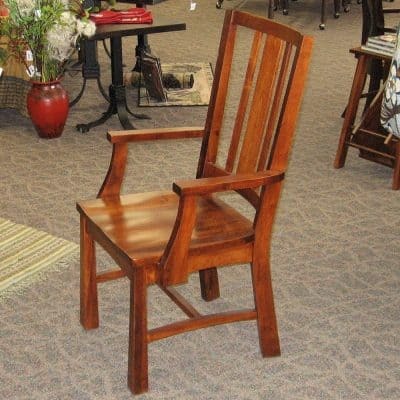 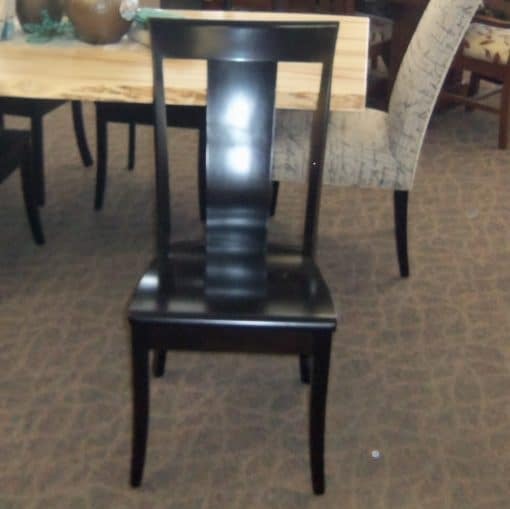 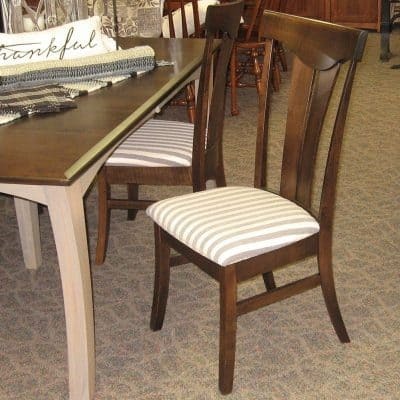 Parsons Side Chairs 20.5″ W x 22″ D x 42” H.